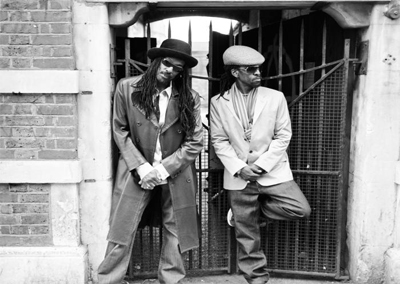 After fifteen albums and two decades on the music scene, Aswad remains one of Britain’s best-loved reggae bands. The duo of Drummie Zeb (vocals and drums), and Tony Gadd (bass, keyboards, vocals), are renowned among reggae fans for their adventurous fusion of musical styles such as dancehall, funk, hip-hop and dub. In 1988, Aswad earned international acclaim with their reggae version of Don’t Turn Around which sailed to the No. 1 slot in the U.K. Charts. In 1994, Aswad captured a host of new fans with the release of the album Rise & Shine , a recording which saw the band’s first Grammy nomination for Best Reggae Album of the Year. A major hit in the UK and Japan, the album also gave the band another No.1 hit with the now famous summer reggae anthem Shine . The band has toured extensively, playing to packed houses in diverse locales from London’s Royal Albert Hall and Montego Bay’s Reggae Sunsplash, to gigs in West Africa, Israel and Japan. Now the legendary British Reggae band is back, with a brand new album! 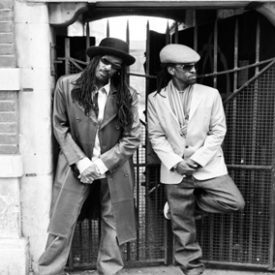 Aswad’s album is a rich mix of musical genres, from pop and reggae, to lover’s rock and urban roots.